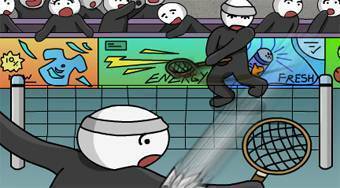 Do you like Stick Figure Badminton 2? Share it with your friends. The game "Stick Figure Badminton 2" is the second continuation of the simple online sport game, which has won favor with most of the visitors of the server Superhry, just because of its simplicity and good playability.